One of the most common things why people get frustrated seeing the scale creep up after it’s gone down is that many dieters treat weight loss as a “project,” something to focus on for a few weeks at a time. You wouldn’t take a bath once and think you were clean for the rest of your life! Similarly, a few weeks of healthy eating will not help you to maintain your weight for a lifetime. So, once you decide to start your weight loss journey, you need to make sure that whatever method you choose is one that is likely to work long-term. Here’s a list of how you can take the pounds back off — for good. Eating normal got you in trouble in the first place. You don’t need to diet your whole life, but you can’t go back to your past relationship with food. 2. Make it easy to stick with. Most people approach weight loss with an all-or-nothing mentality. They think that in order to lose weight, they have to completely overhaul their life. They replace their old diet with a new one that is completely different. Even if they haven’t exercised for years, they decide they will wake up at 6am every morning and go for a 3 mile run. It’s very difficult to stick to these drastic changes because they are so different to what you were previously doing. And any disturbance to your routine (getting busy at work, getting a cold, going on vacation, or even a poor night’s sleep) can derail your progress. For changes to have the best chance of succeeding, you have to make them as gradual and pleasant as possible. Make small changes each week, and build it up slowly. 3. Consistent application is your trump card. We all have a way of thinking we are more consistent with our diets than we truly are. You need to track your eating with an app, spreadsheet, or pen and paper to keep you honest — and do it for the rest of your life. Find a person who can help keep you motivated on your off days by giving you some extra encouragement or even meeting you at the gym. This means you have to learn how to eat out, travel and enjoy life, while still losing and maintaining your weight. 6. Don’t diet for the short term. 7. Weigh yourself every day. While the scale is a terrible measure of short-term weight-loss progress, it is a nice and simple long-term marker. Don’t pay much attention to the day-to-day variation, but track the number so you can spot longer-term trends in weight changes. Catching yourself when you’ve only gained 5 pounds is a lot better than “suddenly” realizing you are 15 pounds heavier. 8. Welcome the “bad” days. But life really doesn’t work that way. Think of a child learning to walk. Falling over is part of the process. And when you’re trying to change a lifetime of eating and exercise habits, you need to expect to have a few setbacks along the way. Not just expect them, but welcome them. Because they are a key part of improving your eating habits. A week or more, in which you’re doing all the right things, but your weight still doesn’t budge ( a weight loss plateau). This is really important! Your weight loss will more than likely not go smoothly, and the more you expect this and plan for it, the more likely you will succeed. 9. Abandon all deadlines and expectations of speedy weight loss. If you want to lose weight and keep it off, then you need to shift your focus from the speed of weight loss, to the stickability of weight loss. The less you focus on deadlines, the more you can focus on making long-term changes. Often this is one of the hardest things for people to accept. We all want results quickly. But once you can let go of deadlines, you take the pressure off. If you are in it for the long haul, then the only way things can go wrong is if you give up. 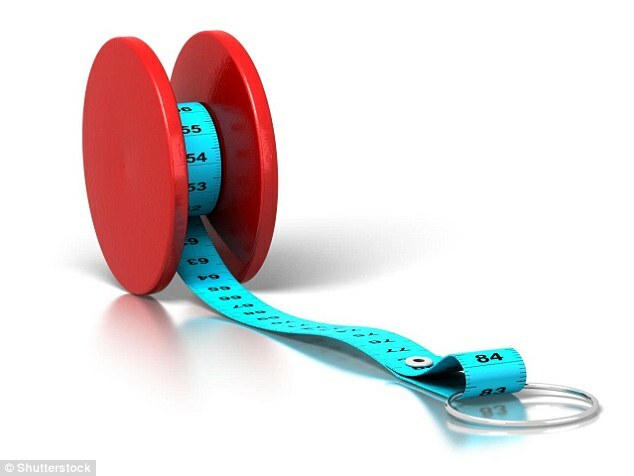 Ultimately making weight loss last, and avoiding yo-yo dieting requires staying focused on the long-term. You must always be thinking, Would I still be willing to do this in two years? How about five years? Or ten years? When you put every new action through that filter, you can ensure that you lose weight in a way that makes it much easier to keep it off. One of the biggest weight loss mistakes that many women make and thus not able to lose their belly flab is that they overcomplicate things. With weight loss, often times, simplicity is best. If you’re looking for a sensible and effective way to lose fat quickly and detox your body of toxins at the same time, look no further than the little known Red Tea Detox system. The Red Tea Detox system combines the use of a special blend of rooibos (“red”) tea drink with a smart, effective weight loss system to help you crush big weight—and fast! Did you know that just by drinking rooibos tea, you can increase your metabolism and burn 20% more fat, all without exercising? Women who have followed the Red Tea Detox system reported losing up to 14 pounds and 2-4 inches from their waist in just a matter of 14 days, and to boot, they also reported significant relief from allergies and an improved complexion as the result of the detox—the methods in the Red Tea Detox system are all backed by science. Check out this video on the Red Tea Detox system now to learn more about how to follow the detox system—and get to your ideal sweet weight in 14 days.